← So You Want to Present Like Steve Jobs? In general, the purpose of an interview is perceived as being to obtain information from one person by another person who asks a series of questions in a logical sequence to reach a specific objective. This definition might equally be applied to coaches, psychologists, psychiatrists and other “talking therapy” practitioners. It also applies in business to certain roles in the Human Resources, sales & marketing departments, etc. One group that might not fit into this definition are Politicians of all nationalities. All too often, their specific (and unspoken) objective is (usually) to NOT answer the questions asked and only push the responses that their platform / party want. 1. Extended, complex and unclear questions. Possible the most common error appears to be that the interviewer has not prepared clearly defined questions that are drafted in such a way that leaves no doubt about what is being asked. Many interviewers often enter into long and complicated preambles before actually reaching the crux of the matter instead of getting straight to the point. How can someone be expected to answer a vague, badly-structured, convoluted question clearly? Often the resulting response is unclear, inappropriate or “unrelated”to the question asked. 2. Not quantifying the response. There appears to be a tendency NOT to quantify the response required by asking for very specific details such as: “What three things would you…?” or “What is the specific timetable for XYZ in the next month?”. This omission means that the response can be as long or as short as the respondent wants. The “Double Bind” involves feeding the respondent with two possible options or two possible responses / solutions: E.g., “Should the government do XY& Z or AB & C?. It is generally much more effective to ask “What exactly should the government do?” (then stop talking, and gaze silently at the respondent until they answer). 4. Not asking follow-up questions. It seems that many interviewers prefer not to ask follow-up questions or are instructed not to – especially if touches an area that might be polemic in some way. One way to do this is to use an echoic response of the response to the question as a bridge into a follow-up question designed to extract more detailed information. 5. Fear of alienating or “offending” the interviewee & the possible consequences. This is often closely connected to the previous point: Frequently the interviewer fears that if they are too “professional” (read “pushy”) in trying to get more detailed answers, the subject might refuse to collaborate with the interviewer, their organization or bring about unexpected and undesirable consequences to all those involved. 6. Not using reflective Communication (both verbal and non-verbal). If an interviewer wants to establish rapport rapidly with the interviewee, it is vital that they learn how to “pace” and then “lead” both the verbal and non-verbal communication of the subject. When the interviewer “paces and leads”, they are psychologically creating a collaborative effect in the subconscious of the other person which means that they will tend to feel more comfortable and be more willing to open up more. When the spoken and non-verbal communication are different, they tend to induce a conflictive perception in the subconscious mind of the interviewee. It is vital to note that people reflect back the subconscious perception that they have of the other person. 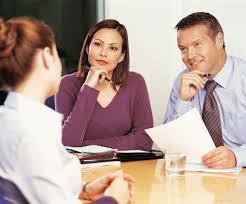 A simple test to discover the degree of rapport between people is to observe their non-verbal communication. If the rapport level is high, the body language will be very similar and if rapport is low, it will be very different. When the interviewer has not prepared clear & concise questions, frequently it results in the interviewee not answering the question asked and diverting the topic to the area that is their main interest. Frequently, the results obtained are that the answers may be evasive, confusing, incomplete or inappropriate because the respondent has had to listen to, and mentally process, all the “waffle” that preceded the question while also trying to prepare a relevant response. When the “double bind” has been used, the tendency is to reflect back the last option mentioned by the interviewer – This is known as an “Echoic” response and often indicates that little real thought has gone into the response. Every interview has a purpose and it is up to the interviewer to determine what their objectives are – collaborative or conflictive – and choose the most appropriate techniques to reach their goal. All too often, the interviewee is unjustly classified as being “difficult”, “evasive”, “uncooperative”, etc., due to the lack of skills and / or preparation and behaviour of the interviewer rather then recognizing that the interviewer often shares a large part of the blame for this perception. “An elephant in the Room” # 3 : Avoiding Unacceptable Behavior in Presentations. The Traditional Selling Cycle Vs the Modern Buying Cycle of the 21st Century. The Meta Model Vs. The Milton Model. – Senior Management in both national & International organizations. – “Talking Therapy” Specialists: Psychologists, Psychiatrists, Coaches, etc. – Journalists, radio & television interviewers. – HR professionals (recruitment, selection, generalists, etc). – Sales and Marketing Specialists. – Lawyers, Negotiators, Mediators & Arbitrators. – Generalists: Any one who needs to be able to delve deeply into the area of questioning. For more details, please contact Ian Brownlee at brownleeassociates@gmail.com or telephone (+34) 91.526.2505. © Ian Brownlee, Brownlee & Associates, S.L., Madrid, Spain. November, 2015. This entry was posted in Advanced Communication, Cursos, General Communication, Leadership, Meetings & Teleconferences, Negotiation, Neuro Linguistic Programming, Sales, Training & Development and tagged coaches, Human Resources, information, marketing, mentors, objectives., politicians, Problems, psychologists, questions, Rapport, Sales, trainers. Bookmark the permalink. 2 Responses to 6 Common Interviewing Problems. Hi Sridhar, Thanks for the correction. Have a great day / week / month.